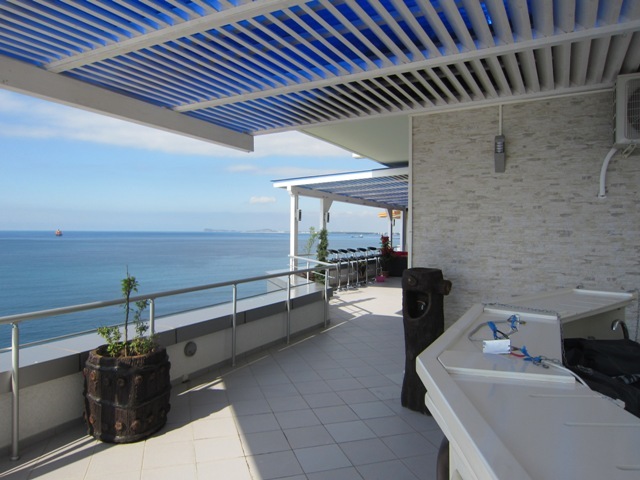 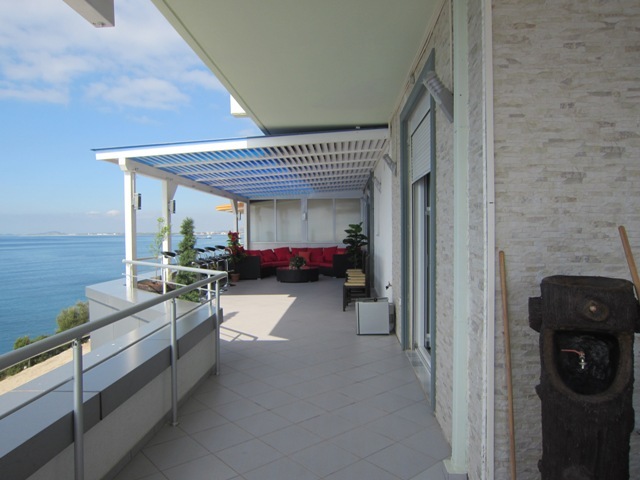 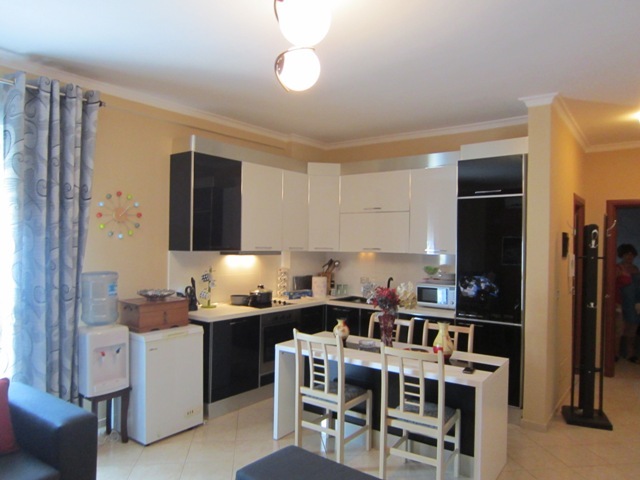 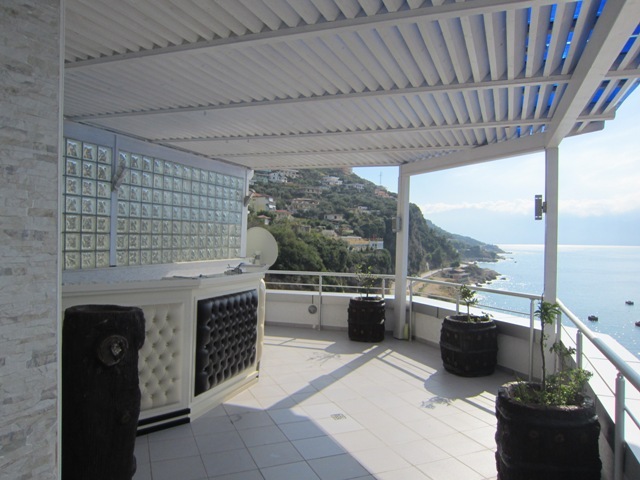 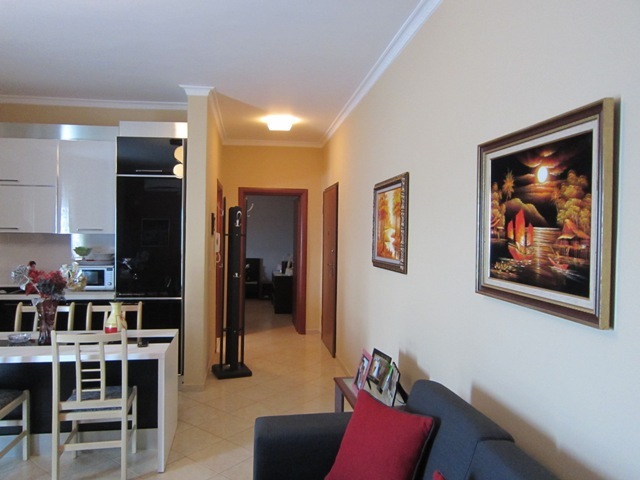 Albania Property has a fantastic penthouse for sale in one of the elite areas of Vlora. 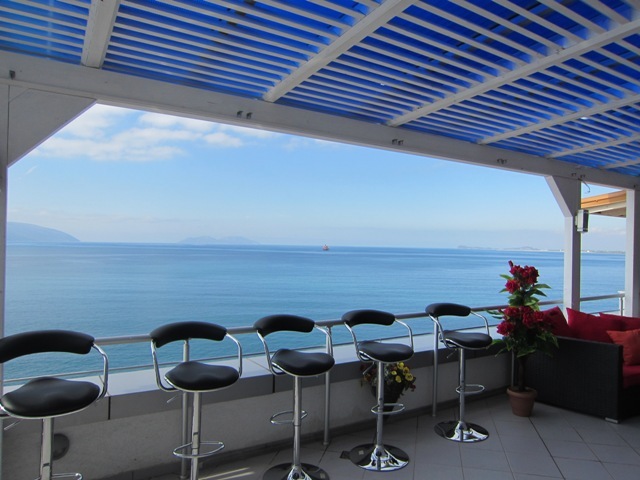 This penthouse has beautiful views of the Bay of Vlora and the Sazani Island. 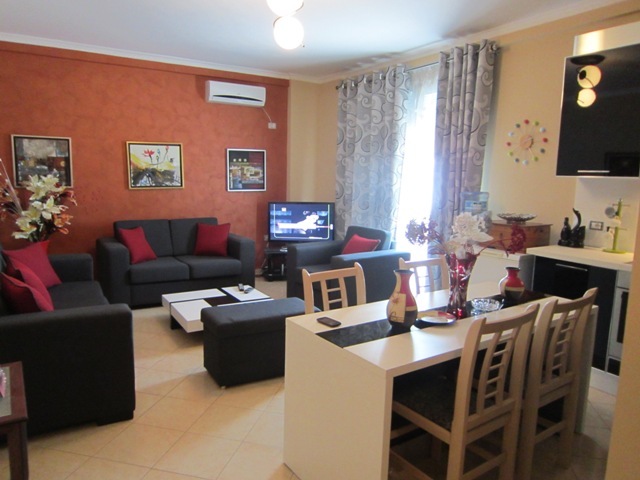 Luxuriously furnished and you can find all the comforts. 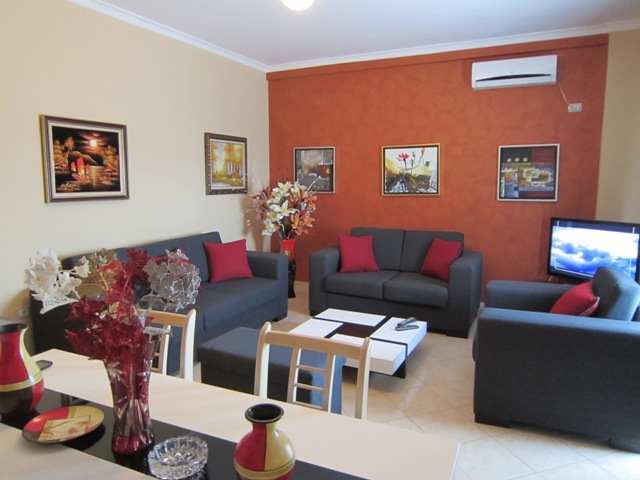 Consists of a big living room with relax area, tv area and dining area. 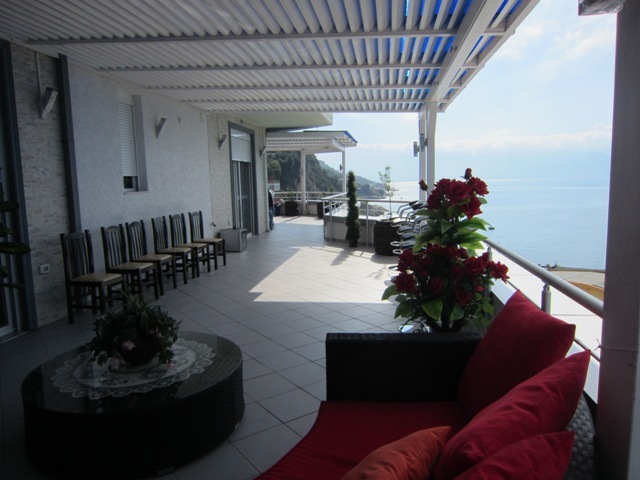 It has a large window opening onto the terrace with full sea view. 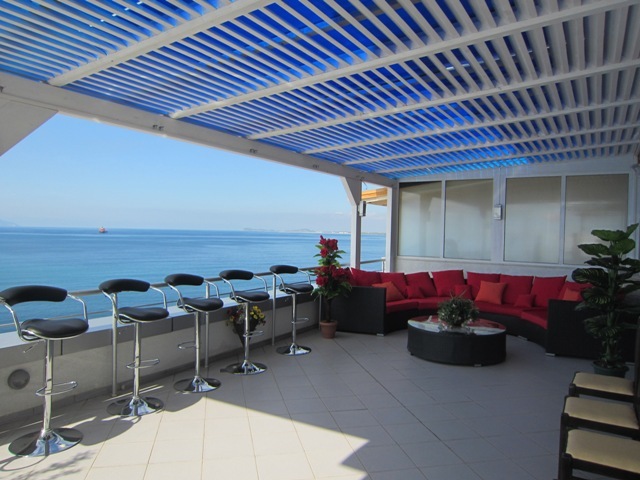 A bar counter will allow you to have breakfast while enjoying the breathtaking views of the bay. 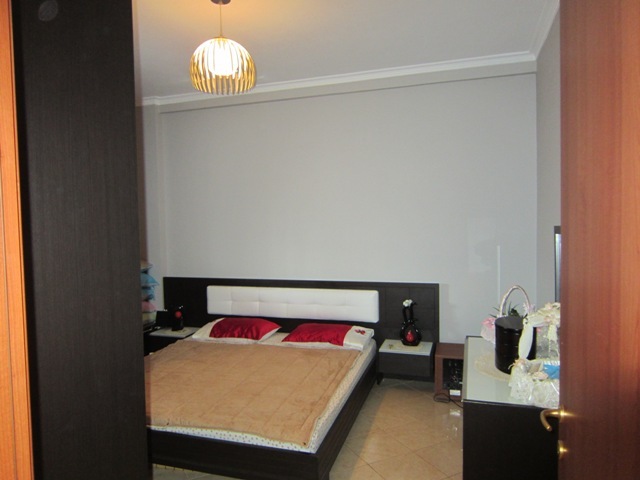 Spacious and elegant, the bathroom, with bath, shower and bidet. 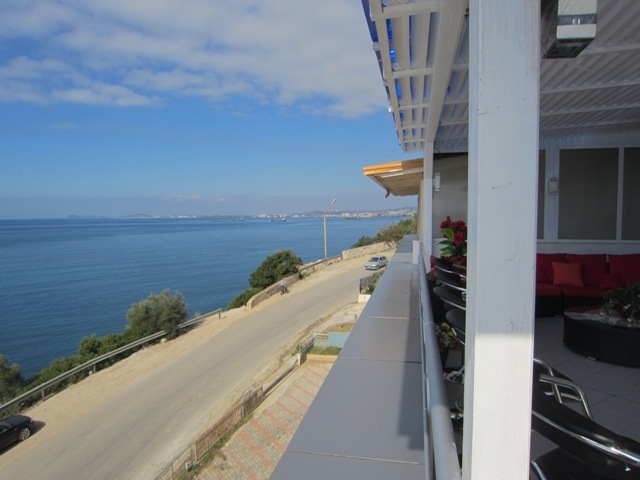 Kalaja is full of beautiful beaches of white stone which can be reached without the use car. 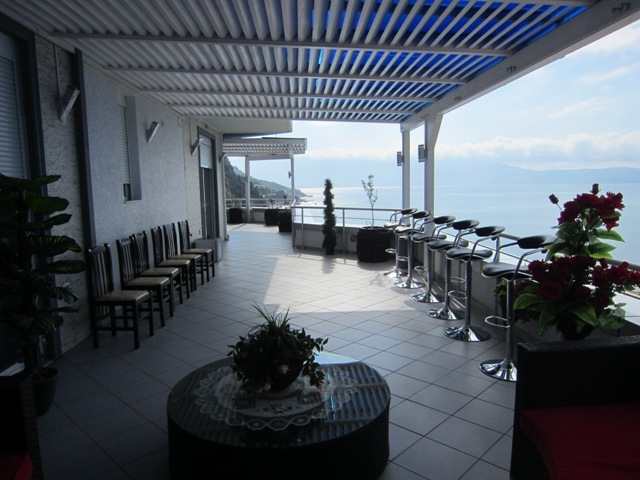 The distance from the center of Vlora is about 6 km. 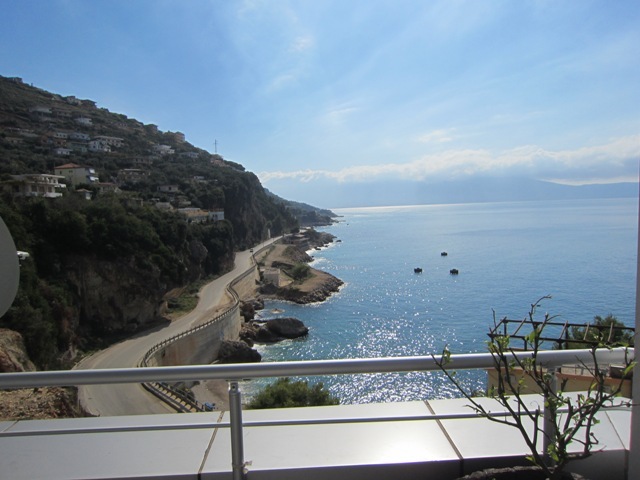 The area is rich in restaurants, private beaches, lounge bars and disco.